Can You Make Money Selling On Amazon? This is one question everyone looking to sell on Amazon asks. Yes, an emphatic yes, you can make money selling on Amazon. The principles are quite simple. For different inventory sourcing models, you have different principles. One thing is a constant though, just like in every business, try to buy low and sell for high. Otherwise, buy products that can be flipped very fast. Let’s see some case studies of people who have and still earn a living selling on Amazon. We’ll also be explore how to make money selling on Amazon. Jessica lost her job in 2008, due to the economic state of the country, little did she know that this was a blessing in disguise. Jessica first started selling on e-bay, however, she couldn’t go beyond $2000 a month without having to put in a ton of work. At that time, she was already working full time, though from home, just as hard as she worked at her former place. That was when she decided to try Amazon, and soon, she learnt how to make money on Amazon FBA. She chose the Amazon FBA business model for the freedom it afforded her. With the FBA model, you get your inventory, package it and then send it off to an Amazon warehouse. When your product is demanded for on Amazon, Amazon takes care of shipping the product to the customer, and also ensuring the product gets to the customer in 2 days, if the person is a Prime customer. So back to our story, Jessica started making so much profit from selling on Amazon that her husband, Cliff quit his job and joined her. Now they are stay at home parents, earning more than enough to even go on vacations and afford other luxuries. 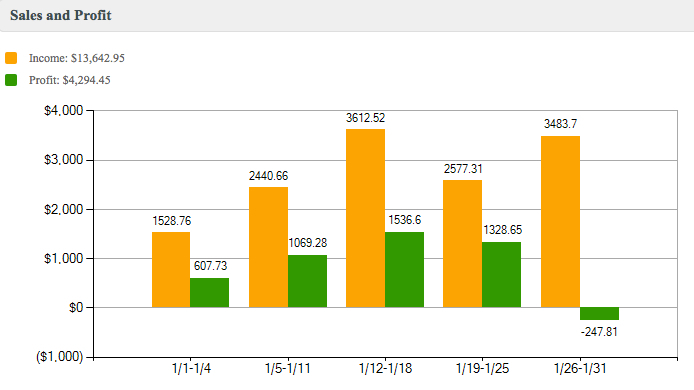 Here’s an income statement for the Month of July 2013 for Jessica and Cliff’s Amazon Sales. Jessica got so good that she and her husband built another business around their Amazon knowledge. They created educational products for those who were interested in learning how to make money on Amazon. If you are still skeptical here’s another case study. Marvin didn’t lose his job or anything like that, but he just wanted to earn more money and have more time with his family. So he bought an Amazon selling course and started off while still having a full-time job. The first month was a bad month because he couldn’t find good enough inventory to flip for profit on Amazon. Two months later though the story had changed, he had begun to make good profits. What changed? Well instead of looking for inventory which will earn him high profits, he started looking for those with little profit, which he could sell in 30 days or less. Instead of the 50% - 100% profit which others normally aim for, he was making 10% - 20$ profit. Sometimes just $2 on some items. However, he was dealing in volume, so all he did was to ensure they could be flipped in 30 days and by that he was making lots of profits. He started with $500, by the 4th month Marvin had an income of $10,000. I know it sounds too good to be true, but here’s a screenshot of his Amazon earnings. There are a lot of other people who are making a killing selling on Amazon, across different niches, these are just a few examples of the amount of financial success one can get selling on Amazon. What Products Should I Sell On Amazon? 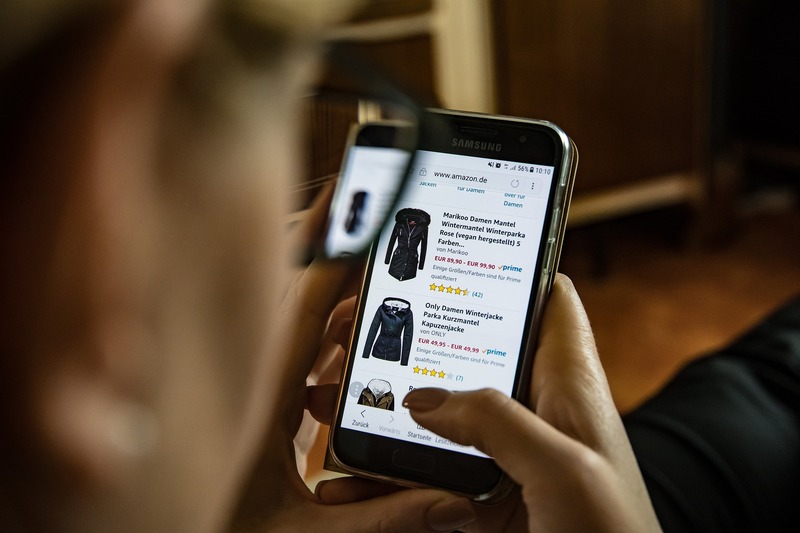 There are over 300 million products listed on Amazon, therefore there’s really no end to profitable inventory. You could rely on your previous knowledge to buy and sell on Amazon. If perhaps you are experienced as sourcing for say, great deals on clothes or footwears, this might just be the niche for you to start with. Just make sure you are able to buy low and sell high or sell fast moving products. Therefore the best items to sell on Amazon FBA are actually so much, every successful seller has his/her own kind of products. Some niches, however, are so competitive so it would not be wise for a beginner to start in these niches. For example selling small tech products such as memory cards, flash drives and the likes. These niche has been taken over by the Chinese since they can export them for next to nothing and then sell on Amazon, it would not be wise for you, a beginner to venture into them. You can also use our Trendosaur to find in-demand low cost products. What is the Average Income from Selling on Amazon? Now, this is a question that a lot of beginners have, but there’s actually no single answer for it. The amount of income you’ll make selling on Amazon depends on your Amazon knowledge and experience, the amount of money you are willing to invest and finally the amount of time you put into it. 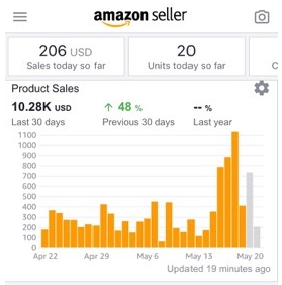 From the case studies we have looked at, the answer to the question “can you make money selling on Amazon” is still a big yes. A lot of people are doing it, therefore, you can also do it. You can start as small as you want or as big as you want. You should, however, be ready to put in the work, it is sure going to take a lot of working from you. So if you are ready to put in the time to master the business, and then the time to do the work itself, you can make money selling on Amazon.